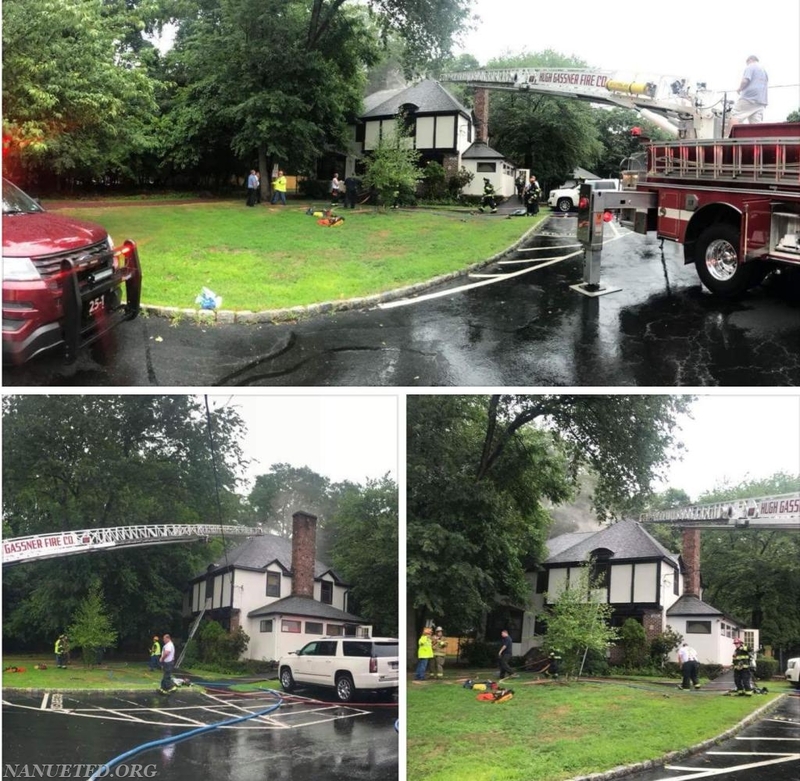 With severe weather in Tuesday's forecast, Nanuet Fire Department Volunteers were prepared for some storm related emergencies, but instead were dispatched to 3 structure fires within 24 hours. 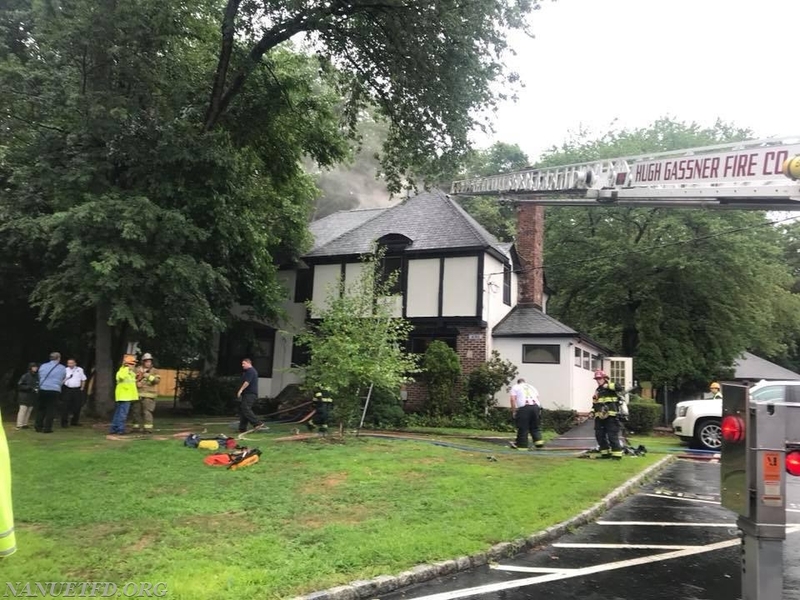 At approximately 2:30 PM Tuesday Nanuet FD along with the Pearl River Fire Department (Dept 12) was dispatched to a reported structure fire at 16 Carriage Lane, possibly due to a house being struck by lightning. Once on scene, Captain David Jacobson (8-4) spoke with the caller who had seen the lightning strike and smelled smoke. Further investigation showed no evidence of a fire, and units were returned to quarters. 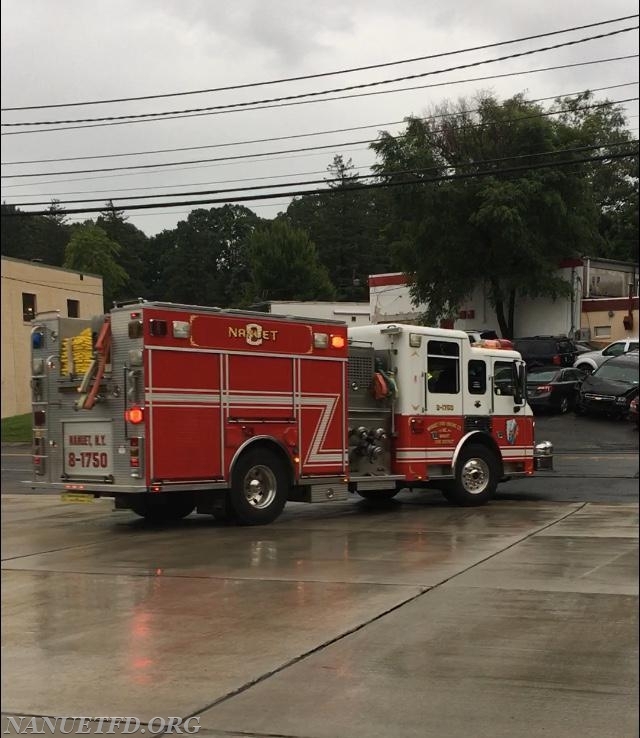 Shortly thereafter, Nanuet FD was dispatched to send one engine mutual aid to neighboring Chestnut Ridge where the South Spring Valley Fire Department (Dept 25) was operating a a confirmed fire inside the industrial facilities of Teledyne LeCroy. 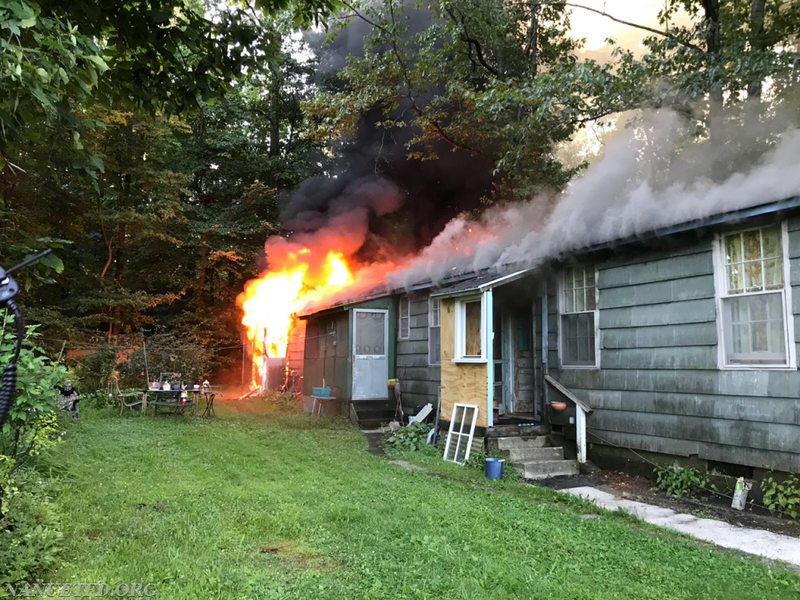 The fire, which started in the mid afternoon, required the response of five neighboring departments before being fully extinguished in the early evening. 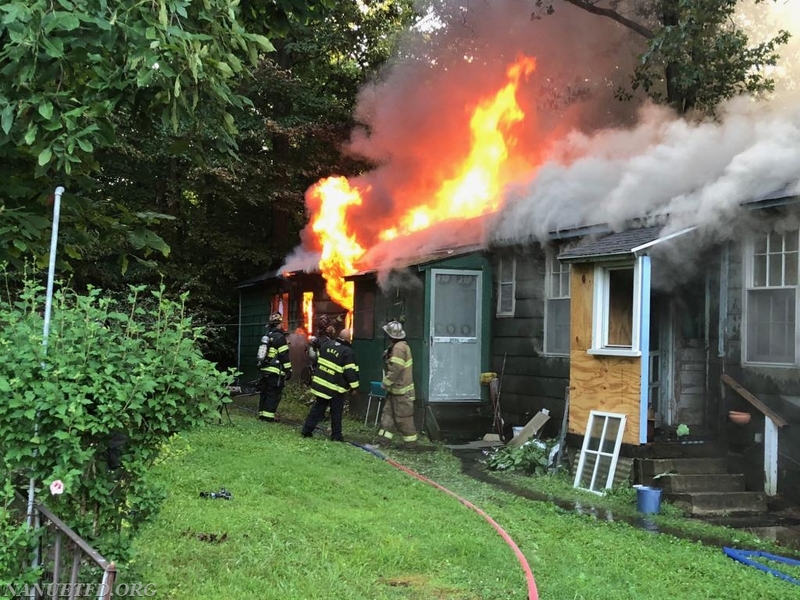 Wednesday morning at 6:30 AM Nanuet FD volunteers were called upon to respond to another structure fire in Spring Valley (Dept 17). 8-1750, chauffeured by veteran ex-chief Todd Giraudin, was the 3rd fire apparatus to arrive on scene, and laid over 800ft of 5-inch diameter hose from a nearby hydrant to supply the other apparatus already on scene. By 8:30am, the fire was under control and all units returned to quarters.